Looking for quick, easy, and tasty brown rice recipes to try? Do you have a pressure cooker? If you answered yes to both of these questions, then these three brown rice recipes may interest you. And with these recipes requiring less than 30 minutes to cook, these are a great choice for a quick and delicious meal. Before we get started, let's us know more about brown rice. Brown rice is advise to use for diabetic patients to replace white rice as according to research white rice is the caused of Type 2 diabetes while brown rice proven to have much lower sugar release compare to white rice. First, we have a simple brown rice recipe. To make this recipe, you need the following ingredients: 1 cup of long grain brown rice and 2 cups of water. 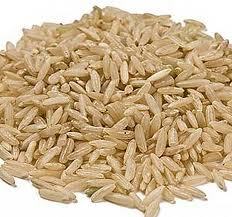 If you want to use short or medium grain brown rice, you will need to adjust your cooking time to be longer. This recipe will yield about four servings with the given ingredient amounts. So to make this recipe, first, you must add brown rice and water to your pressure cooker. Next, you lock the lid into place. Bring the cooker to high pressure and maintain the pressure for 15 minutes. Allow the cooker to release the pressure on its own. And to finish, toss your finished rice with a fork before serving or using it in conjunction with another recipe to smooth any clumps that may have formed during the cooking process. Another great brown recipe to try is brown rice with fresh vegetables. Add 3 ½ cups of chicken stock or broth (whichever you have on hand) and 2 tbs of fresh lemon juice . This recipe will yield 6 to 8 servings with the given ingredient amounts. So first, in the pressure cooker, heat some olive oil. Then add the onion, garlic, parsley, and carrots and sauté them in the hot olive oil for three minutes. Second, add the rice, salt, pepper, thyme, and bay leaf and cook for a minute. Note that if you stir the rice into the oil, it will delay the foamy starch needed for cooking in the cooker during cooking Then add the chicken stock (or broth) and the lemon juice. Third, secure the lid on your pressure cooker and over high heat, develop the cooking from steam to high pressure. Then insert a heat diffuser between the cooker and the heat and reduce the heat to maintain the cooking pressure and cook the rice and vegetables for 15 minutes. After the cooking is done, carefully release the pressure on the cooker in accordance to the manufacturers instructions. Remove the lid on the cooker and add the broccoli to the rice mixture. Secure the lid in place once again and, over high heat, develop steam on the cooker to high pressure. Insert the heat diffuser between the cooker and heat once again and reduce the heat to maintain pressure and cook the food for a minute. Quickly release the steam once again and remove the lid. And to finish, discard the bay leaf and, using two large forks, toss the broccoli and rice mixture and spoon into your serving dishes. And a third recipe with brown rice is a brown rice stir fry. So first, heat the peanut oil in the pressure cooker over medium high heat until it begins to smoke. Then, add the rice, stirring until the rice begins to turn golden around the edges, which will take a minute. As soon as the rice turns golden around the edges, add the carrots and ham and stir them into the mix. And then add the soy sauce and water and stir the mix again. Lock the lid into place and bring the cooker up to pressure over high heat for two minutes. After the two minutes have passed, reduce the heat from high to medium and cook the stir fry for 20 minutes. After the two minutes have passed, remove the cooker from the heat and let it sit for 10 minutes to finish cooking. Then, with the pressure cookers steam vent pointed away from your face, carefully release any remaining pressure from the cooker. Stir in the snow peas and bean sprouts into the rice mixture and place the lid back on the cooker without locking it. Let the stir fry sit for five minutes. And to finish the stir fry, sprinkle it with the chopped scallions and serve. So if you want to try something new to eat that is both tasty and easy to make with little cooking time (under 30 minutes) and you have a pressure cooker on hand, then give these three brown rice recipes a try. You will be happy with the little time that they take to make and satisfied with how good they taste.